The FP7100 Housing, specially designed for the Coolpix P7100, meets the highest professional standards of function, style and durability. It is depth rated to 60 meters/200 feet, ergonomically designed, fully functional and features easy-to-use, clearly labeled controls. 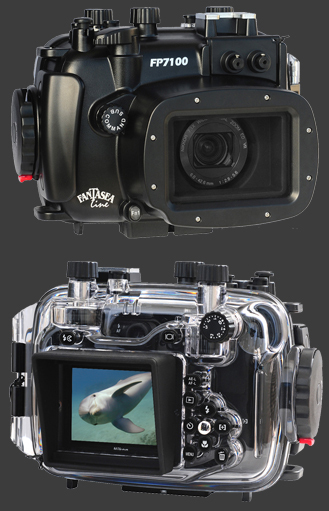 The FP7100 Housing is ideal for outdoor and underwater photography. Underwater photographers can dive or snorkel and capture all the excitement of this fascinating world, while outdoor photographers also have the option of capturing the action of activities such as white water paddle sports, sailing, boating, surfing, fishing, hunting, backpacking and camping. This shock resistant housing protects your P7100 camera from all damaging elements including water, sand, dust, snow, ice and pollutants. The FP7100 is certified to a maximum depth of 60 meters, which is well beyond the 40 meter dive limit for recreational divers. 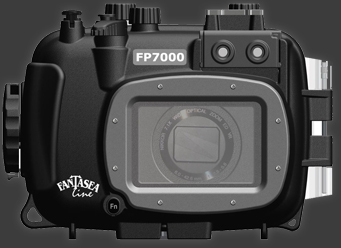 The FP71000 is compatible with the complete FP7000 dedicated Accessory System, including wide angle and macro lenses. 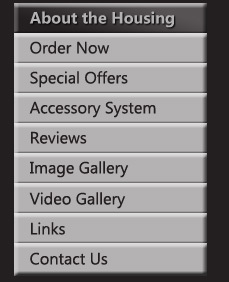 Additional accessories include a variety of color correction filters and lighting sets, which enable photographers to further enhance the quality of their images and videos. The new Coolpix P7100 delivers amazing image quality, High Definition (HD) movies, enhanced menus navigation and high speed performance to create an appealing package for both professionals and enthusiasts. Photographers will find that the Coolpix P7100, bundled together with the FP7100 Housing, provides a pleasurable and professional water sports photography experience. This system is capable of producing stunning results which can certainly compete with those produced by some of the DSLR systems out there.